Today we are going to present you best productivity apps for Android and iOS. They are can be useful in anyone's life if used and implemented in the right way. Grow is a productivity app developed for iOS users and designed by a psychologist as a product of a PhD research. It is definitely a breath of fresh air in the habit builder and habit trackers app niche as it offers unique features to build your individual habits (the first psychometric habit builder). The psychometric habit builder app offers you the ability to build solid habits, to track them, showing your progress to reach your goals. Developed for Android and iOS users, BcLapp is a one-stop app for personal shopping management offers users the easiest and quickest way for managing their products, utilization, and recipes in one place. By using the app, users get the chance to organize better, stay healthy by preparing shopping lists with items of their choosing, identify products and stay informed about products recalls, discover recipes and much more. Agile Log is especially creates as one quite efficient and helpful project time tracking app that is developed for both android and iOS users that like to track the time they spend on their projects and tasks with a single tap on the app, directly from their phone. 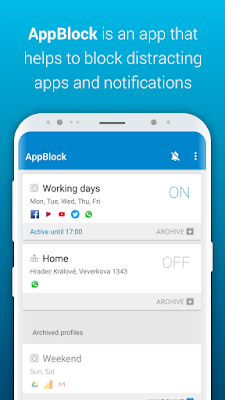 AppBlock - Stay Focused is a simple, yet very powerful blocker app that will help you increase your self-control and with your phone addiction. Be more productive and reduce screen time by only installing this app and selecting the apps that may seem distracting while you are doing important job. Not only will you be able to temporarily block apps, but notifications as well. This recording note-taking and transcribe app for conversations and meetings offers amazing features that allow them to focus on the discussion without taking any notes. By using the app, users are allowed to just by starting and hosting their meeting, telling colleagues the meeting ID, to record the meeting and get the transcript. 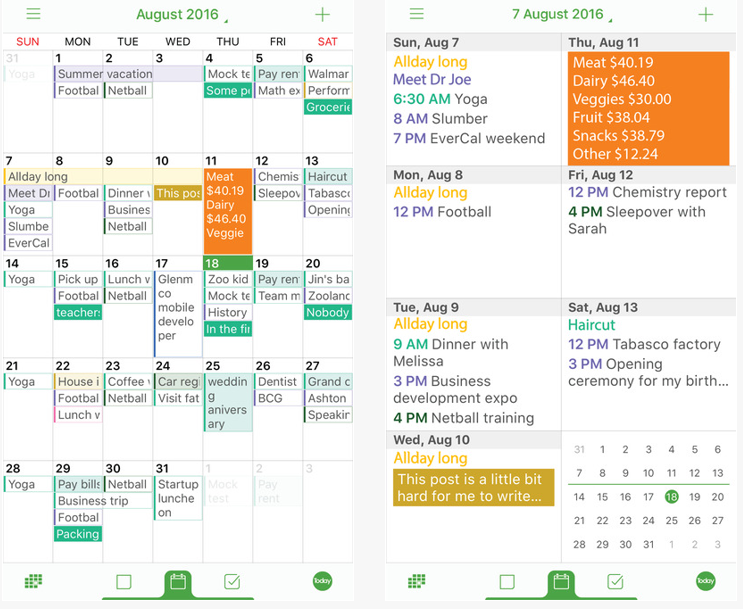 Do you handle your calendar and email in two separate apps? Do you also handle gmail, outlook and hotmail emails and accounts in different apps? Then Check for Hotmail is here to give you powerful email management & calendar features in one app. With real-time notifications, simple swiping through inboxes, unlimited email accounts both for gmail and hotmail, protection with pass codes, file management and many other features, you will make use of a powerful email manager and enhance your productivity! IAmProductive is a time management and productivity app, designed and developed with the purpose to help users become more productive, efficient and more mindful of where their time is spent. Availble for iOS & Android, this great tool can really help you realize what are you flaws and increase your focus on things that matter! At its core MobileSync App is an app that will simplify your app and make you more organized and productive. Generally, the app syncs all of your Android files with your Windows PC. It's simple and all of the best features you can get for free. One of the best features is the auto-syncing, meaning every-time your Android phone and PC are connected to the same wifi network they will sync between each other. Since everyone is on social media constantly, juggling through them is wasting our precious time. One of the best ways to save time, increase our productivity and make the browsing and consuming process much more enjoyable is using Pyxsee, an all in one social media manager app. Pyxsee gives you full access to Facebook, Instagram, Twitter, Tumblr, Pinterest, LinkedIn and YouTube all in one simple-to-use platform. It's available for free on the App Store. Progress Graphs is a really useful tool for planning and visualizing your life. It's a great productivity app that will help you organize better and make it a goal diary. It is a multi-use productivity app, perfect for working professional mums and dads, new parents, students, graduates, etc. Its primary idea is to provide its users with a meaningful tool that makes life well organized. Get it for free and make use of it in your every day life! ShedWool is an employee schedule maker for all managers and workers that want to manage their shifts and communicate with each other with an ease. Created by ShedWool, LLC, it requires Android or iOS 8.0 or later and works for most Androdi devices and the iPhone, iPad, and iPod touch. We loved it because it is easy to use, free for download and designed with intuitive UI. It offers web app as well! It is also one of the most feature rich employee scheduling apps too! Texting group of people via iOS devices is not possible and suitable, and group texting is one of the best productivity tools any person can have. A great group SMS app that enables tons of great messaging and productivity features is most definitely Text Groups. With few simple taps you'll be able to import your existing iCloud groups at first users, create your own groups: Family, Friends, Colleagues and even create templates of messages so you can just send recurring content. It's free and available on the App Store. We’re talking about an amazing family organizer, a great iOS productivity app called EverCal - Family Organizer. 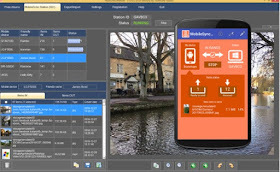 It is developed by YunaSoft Inc., compatible with both iPhone and iPad and designed with intuitive user interface. Many apps and services seek to do the same, but EverCal gets our recommendation because it combines so many features so easily and effectively. It’s indeed all-in-one app that can solve many of your life’s problems. Its stand out feature is that it enables users to create and share whole family schedules between each other. This makes everything simpler and much more organized, than the other similar apps! My Pocket Coach will let you set goals. 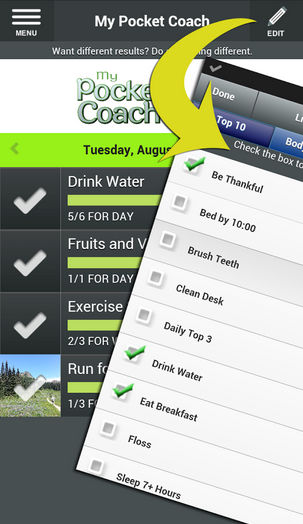 Not only that it will let you add countless habits that will help you in reaching that goals. You can repeat your habit hourly, daily, monthly, weekly or monthly. You can set reminders and follow stats about every habit. This will surely improve your life, make you more productive and effective and it will surely help you in reaching your goals. TimeOfYourLife is an iOS productivity app that was recently introduced on the App Store and an app that works with the Apple Watch. With this task and stopwatch app you can really increase productivity because it will help you eliminate the negative activities and increase the positive activities with the use of the stop watch. Excellent productivity app with holo interface that acts like a personal journal of events. 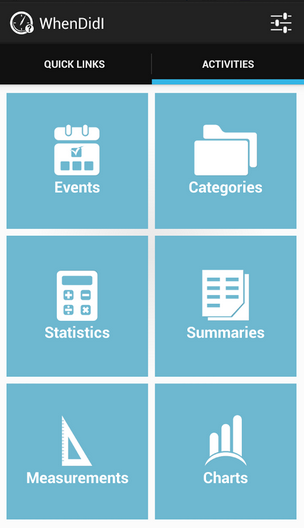 Also, you can divide your events by categories and get certain statistics about them. You will never lose track of what is happening of your life. You can use it to track how many calories you enter daily, how much did you spend or how much time you spend on certain things. This can surely improve your life, because you will be more organized and you will cut off the bad habits. Are you a freelancer? Do you work on projects and different type of tasks? Well, you will definitely find our App of the Day – Smart Timesheet, extremely handy and useful. 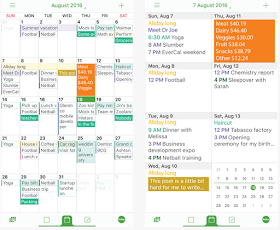 This outstanding productivity app is actually a time tracker that is based on tasks. It has the ability to organize your projects and tasks and also show your earning per hour or project. We already mentioned this app before, where it's explained how to install it. 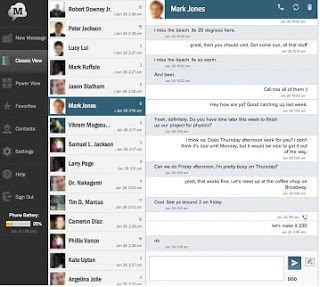 It’s a productivity app that enables you to send SMS messages from your computer. Pretty useful if your phone is far from you, or you need to send fast and long SMS messages. 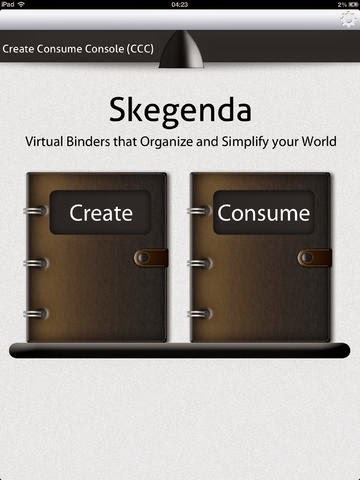 Skegenda is excellent app contains crisp and neat virtual binders that you can use to fill them up with your personal information. The great thing is that you can enter text, photos, drawings, voice recordings, documents and even videos in these real looking binders. It is a great organization and planning tool that will surely boost your productivity and improve your effectiveness.